A Croatian engineering firm awarded ULMA Conveyor Components a contract for supplying rollers and supports for the new bulk terminal of Ploče in Croatia. The port is located near the mouth of the Neretva river on the coast of the Adriatic Sea. The terminal incorporates a railway connecting to the mines, steel plants and other important industrial installations in Bosnia and Herzegovina. 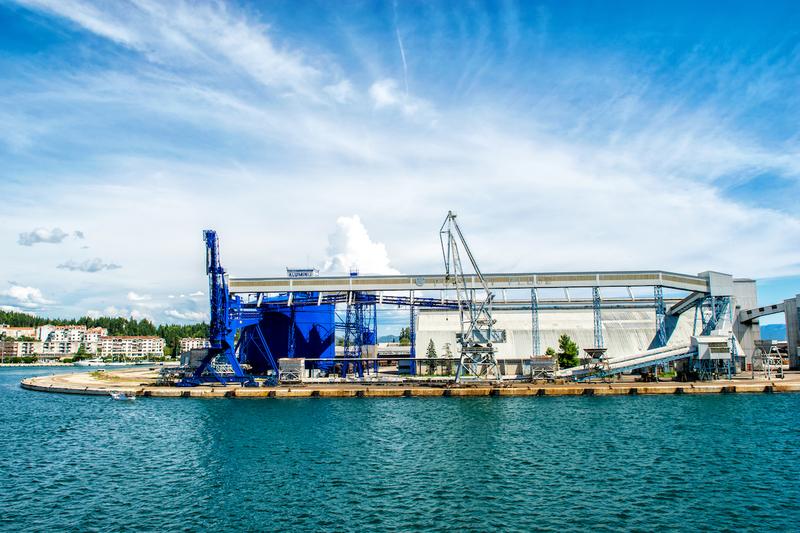 This is the second largest loading port in Croatia after the Port of Rijeka and has a loading capacity of 4.5 million tons. The project includes the construction of new conveyors capable of handling 4,000 tn/hr, machinery for loading and unloading ships, systems for loading trains and the control systems for the new terminal used for handling the iron and coal. The new terminal required an investment of € 30 million and will be operational at the start of 2017.